Crewe Orlando Round Foam Mirror, lightweight circular foam covered black back mirror with handle and hanging space. 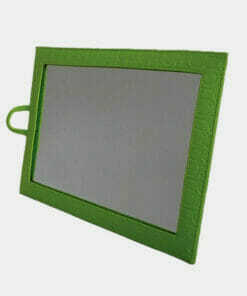 Mirror made with a durable embossed, waterproof fabric with large mirror. 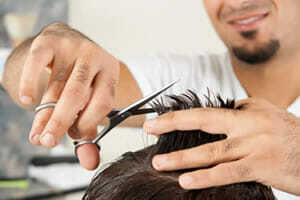 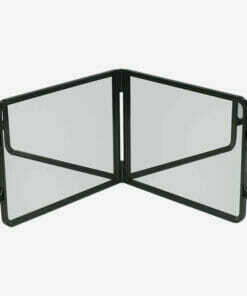 Ideal folding styling mirror for the mobile hairstylists. 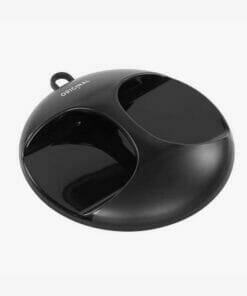 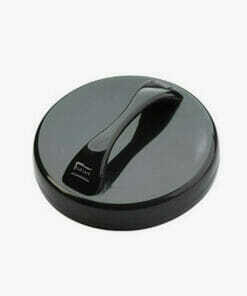 Stylish modern shaped back mirror with easy to hold handles and a rubber band which helps to protects the mirror. 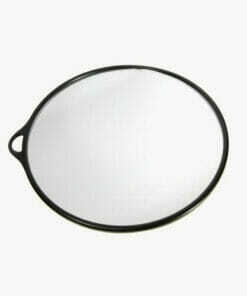 Large back mirror with rubber handles which are gently curved upwards into a v shape. 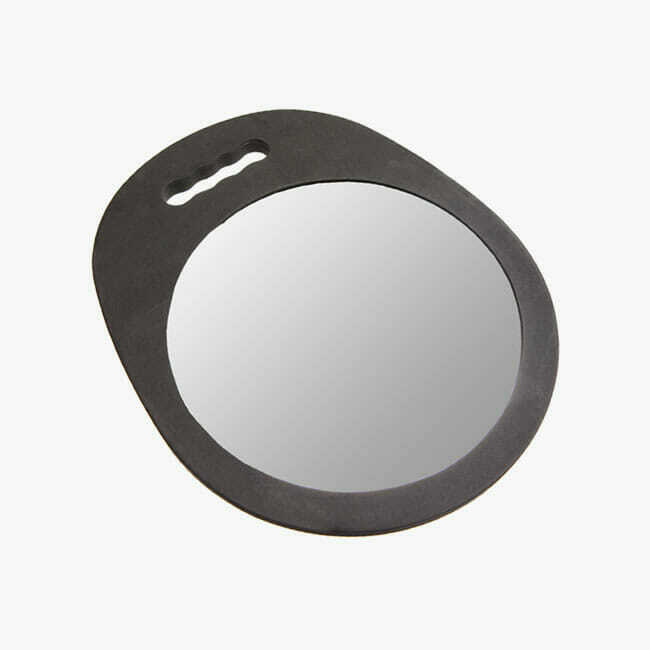 This lightweight mirror is easily handled and stored using a wall bracket. 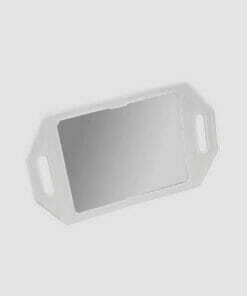 Back mirror dressed in foam making it almost unbreakable but please avoid front mirror collision. 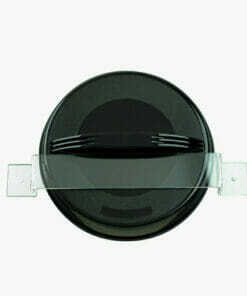 Circular back mirror with handle and rubber edge for silent placement. 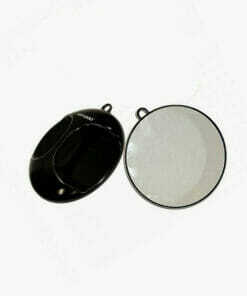 Sibel Luna Original Back Mirror Sibel Luna Original Back Mirror, large back mirror with easy ergonomic grip and hanging hook. 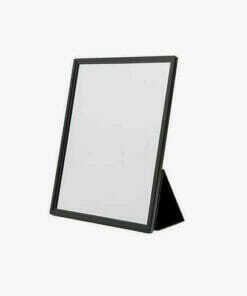 Mirror size 27cm. 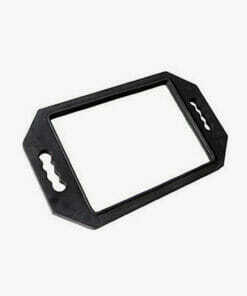 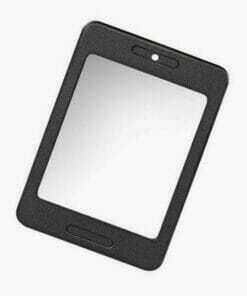 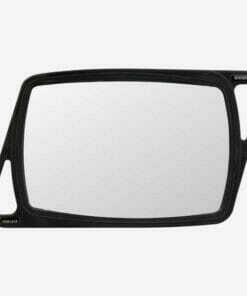 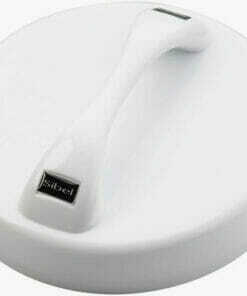 Soft touch rubber surround to prevent damage to surfaces and mirror. 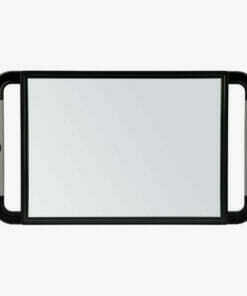 Large double folding back mirror for maximum vision for yourself and your customer.